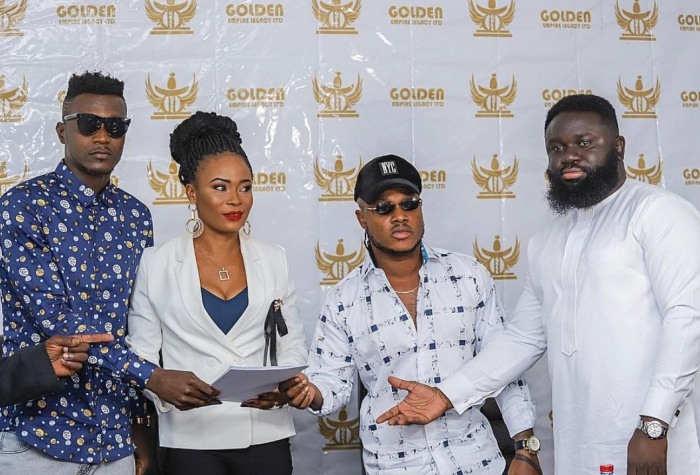 Hiplife and Afrobeats group Keche have signed a mega record deal with a new record label, Golden Empire Legacy Limited. The two-year deal which includes GHC2.5 million (equivalent to USD $500,000) plus three-bedroom apartment and a Hyundai Elantra saloon car for both of them, was signed at the company’s office at East Legon on Tuesday April 19, 2019. The “Diabetes” hitmakers will, aside from their mind-blowing signing on bonus, receive all necessary support to take their career to the next level. Speaking at the brief media signing ceremony, C.E.O of Golden Empire Legacy, Joana Gyan, said Keche’s deal is intended to uplift the brand and its image, and all the necessary measures to propel their career. She added that the duo was signed because they are valuable assets and that they believe they can recoup their investments by the end of the contract. Golden Empire Legacy Limited is a limited liability gold dealership company which was incorporated in Ghana and commenced business operations in January 2016, with investors and business partners all over the world. The contract which lasts for two years will also see the group’s manager George Britton move to the label.